Globe Prepaid subscribers have many options for a data promo and one of them is the very affordable GOCOMBOAAFBFA26. It gives you a 1 day unlimited data for only 26 pesos plus 50 texts to Globe, TM, ABS-CBN Mobile and Cherry Prepaid. You also have 10MB of allocated data for Facebook that is on top of your unli data. There is also a 10-minute consumable call included to contact your love ones and friends via voice. Yes, it’s unlimited, but still covered by the Globe Fair Use Policy so you are only give 800MB per day of data at regular browsing speed. Once you fully consume the daily cap or limit, your network speed will hit below normal or at a slower speed. You only need Php10.00 to subscribe to this promo. 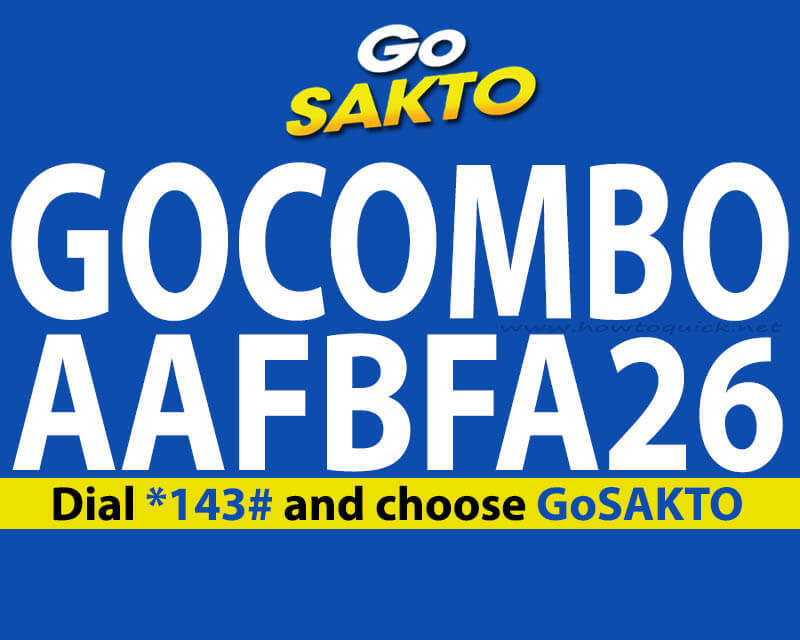 Just reload your prepaid account at your nearest retailer then use the keyword or dial *143# GoSaKto menu. 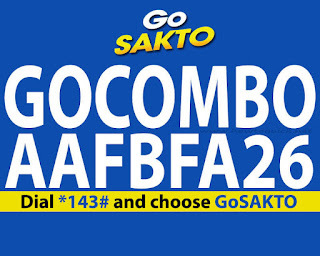 Also available in GOCOMBOIKEA48 with 1GB of data, all-net texts and calls. To check your remaining balance for data, SMS, call by simply texting the code GOSAKTO STATUS then send to 8080. Wait for the SMS notification from Globe regarding the details of your current promo subscription.